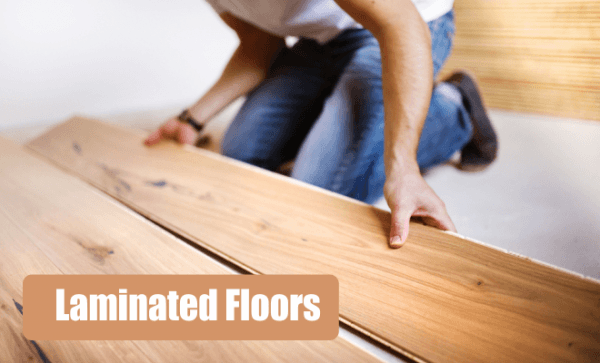 Smart Home Renovation Pty Ltd - a company delivering professional home and office improvement services. We pride ourselves in generating innovative ideas that will address the challenges of space, lighting and the general feel of your home. This results in the best possible solution for your needs / requirements / desires. 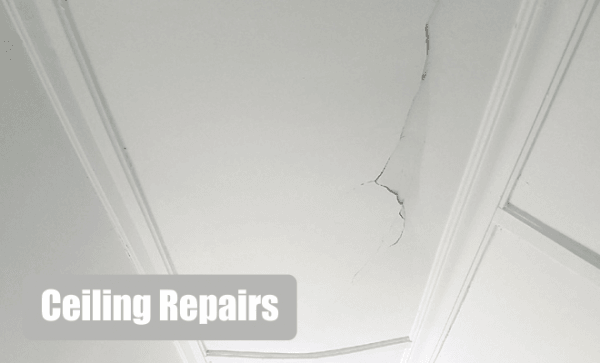 We use good quality materials / products and have a competent team whose workmanship we are very proud of. We offer you a professional and reliable service where we strive for excellence, quality and efficiency. • During the actual execution of the work, our clients compliment us on the fact that we work very clean – with the least disruption possible in an otherwise stressful experience! • I generate innovative ideas that will address the challenges of space, lighting and the general feel of your home or office. This results in the best possible solution for your needs / requirements / desires. 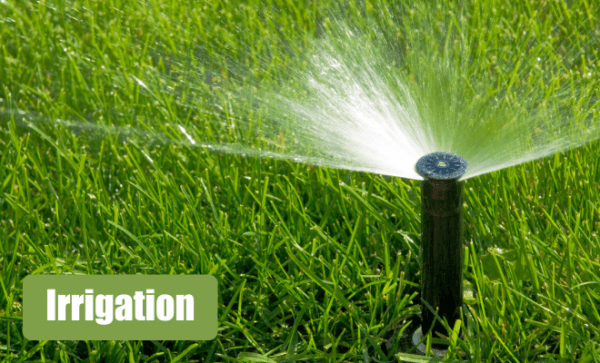 • We use good quality materials / products and have a competent team whose workmanship we are very proud of. • We offer you a professional and reliable service where we strive for excellence, quality and efficiency. - During the actual execution of the work, clients compliment SHR on the fact that we work very clean - with the least disruption possible in an otherwise stressful experience! These are 6mm ceiling boards screwed into brandering using 25mm drywall screws, joined with a steel H-Strip. 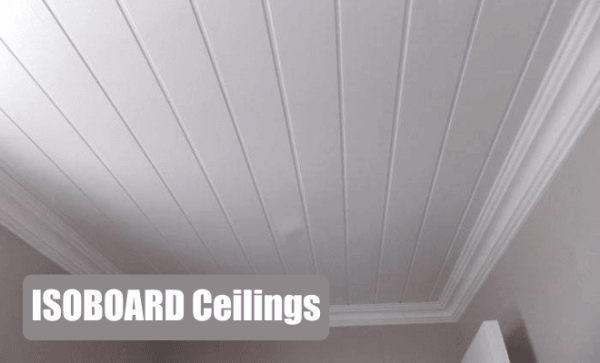 6mm ceiling boards can't be plastered, the board is not manufactured to allow an extra layer of plaster on the joints or to carry the weight of the plaster across the complete ceiling board. 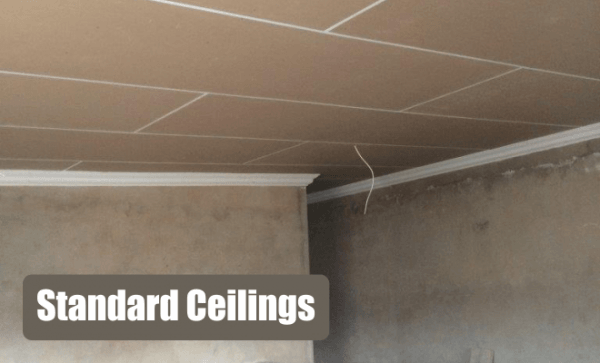 Flushed plastered ceilings is a thin layer of Rhino light that is skimmed and floated over the ceiling boards, giving a smooth finish, a 9mm board is used for plastered ceilings as the 6mm board not manufactured to carry the weight of the plaster, and tends to sag over time. Grid System is suspended/hanging from a concrete slab, and is most commonly used in offices to hide away cables ext. and the ease of access into the roof(to run various cables, and adaptable for change). 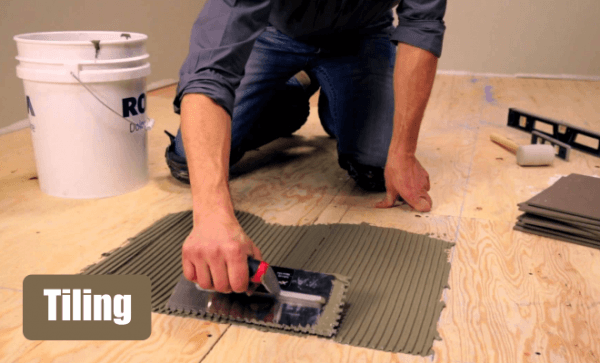 Isoboard is made by polymerising styrene, and offers a neatly finished product with no mess, it also isolates your home or office, saving u electricity, keeping u warm in winter and cool in the summer times. 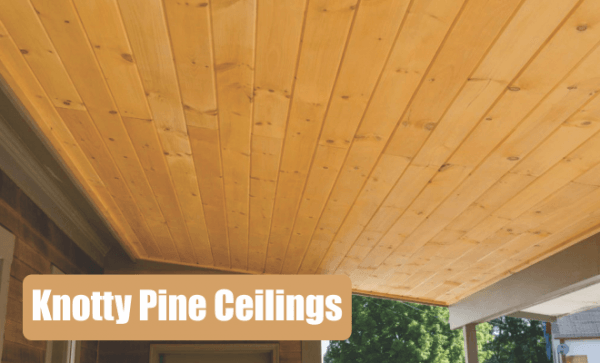 Knotty pine ceilings was very popular during the 70s and 80s, and seems to be coming back in fashion, the wooden finish can be stained with a varnish, or just a clear coat to give that natural wooden warm feeling to your home. A box is created against the wall, dropping down from the original ceiling height, Can be used to fit down lights to create a modern feel and look. 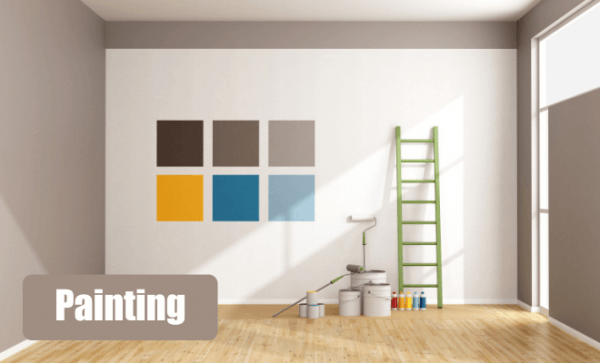 We use only quality sealers and paint on ceilings and wall coatings, all paint that we use comes with guaranty, we take no short cuts on quality, preparation work on walls and ceilings is the key to a professional end product. 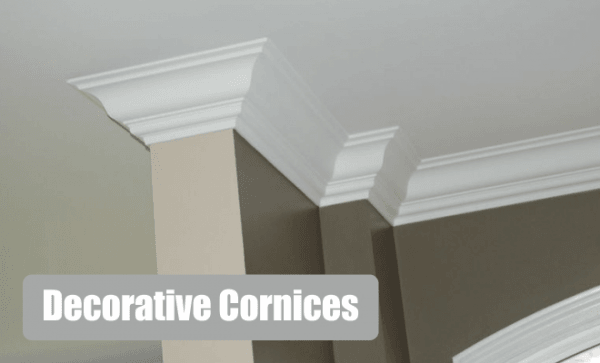 We supply and install a large range of polystyrene cornices, with a wide range to choose from to complement your space. 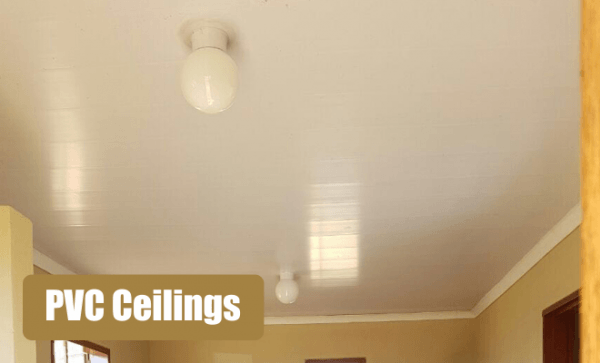 Ceiling tiles are a light weight polystyrene, that is glued to the existing ceiling, giving it a pattern and modern twist to what we remember as -pressed ceilings-. 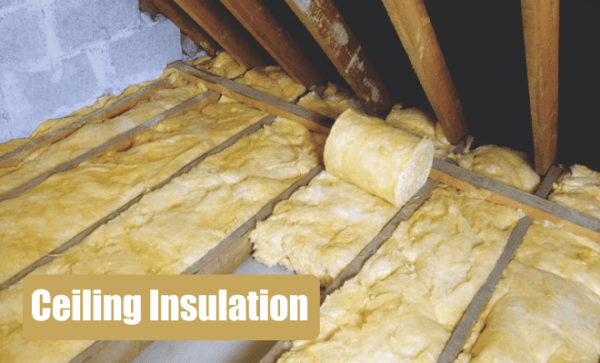 Isotherm – Thermal insulation in ceilings can greatly reduce energy consumption and cost, while regulating indoor temperatures for ultimate comfort.